Littlefish CISO-as-a-Service (CISOaaS) provides the benefits of a dedicated in-house Chief Information Security Officer without the financial cost of attracting and retaining a senior full-time employee. Recruiting an experienced security leader is no easy task. Cyber Security is a specialised field, requiring thorough knowledge of contemporary security technologies, and clear understanding of the current threat landscape and the latest defence best-practice. High-profile data breaches and the subsequent fines and reputational damage thanks to more stringent regulation and enforcement powers, have brought cyber security into public focus: security is now simply too important to ignore. Littlefish’s CISO-as-a-Service (CISOaaS) provides the benefits of an in-house CISO at a fraction of the cost, and without the challenge of attracting and retaining a much sought after senior full-time employee. Littlefish will provide an experienced security professional who will initially carry out a detailed security assessment of your organisation. They will deliver a report highlighting areas of weakness, before providing board-level engagement to win the investment required to mitigate your organisation’s key cyber security risks. 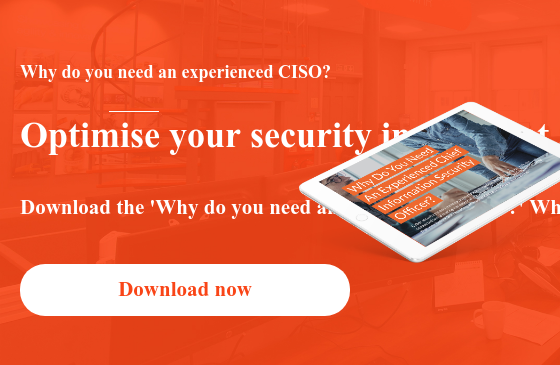 By acting as an extension of your in-house resources and gaining an intimate understanding of your business needs, the ‘CISO’ will provide ongoing remediation support, security advice and guidance. This service provides all the advantages and peace of mind of an in-house, full time Chief Information Security Officer, without the associated fixed overheads and recruitment challenges. Ongoing support, advice and guidance from an experienced cyber security professional who understands your organisation and its business processes. The advantages and peace of mind of an in-house, full time CISO at a fraction of the cost and without the recruitment challenges and fixed overheads. Unmatched defence against attacks and rapid technical and organisational response to breaches, resulting in reduced business impact.